team's walk through for the '76 Cotton Bowl. Ever had a very likable friend that, simply put, just made it happen? He or she always seemed around, everyone enjoyed their presence, and if something needed to be obtained or achieved—like finding a ticket to a certain game or concert, or gaining access to some VIP area—he/she somehow always found a way to get it done. 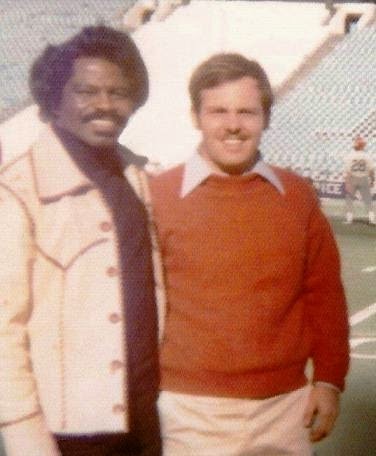 Many members of Georgia's football teams of the mid-to-late 1970s had such a friend—a guy I first became familiar with at last year's Letterman's BBQ—as former players spoke of him with the admiration similarly to that of an All-American teammate. His real name was Gene, but he went by his nickname, "Blue." And, at the BBQ it seemed like every Bulldog who played from about 1974 through 1978 wondered what ole Blue was currently up to—did anyone know his whereabouts? 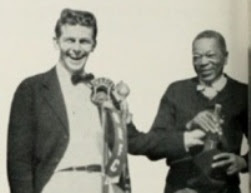 Interestingly, Blue was not a Bulldog player, nor was he a trainer, manager, cheerleader, etc. He was just ole Blue—the greatest "team follower" in the history of UGA football. Blue was not even a native of the area, growing up about 700 miles away from Athens. He was in the Navy fresh out of high school and stationed in South Carolina when his fondness of the Georgia football program began. It all started when he wanted to see a friend from home—a Bulldog player during the mid-70s—so he ventured to Athens for merely a visit, but returned intrigued with Georgia football, and it intrigued with him. Every chance Blue got to visit his hometown friend, and all of his Georgia teammates, he did so, leaving his Navy base in South Carolina and venturing west for the weekend. And, he never missed a home game. I was told, it was the day following a particular home affair when Blue was where he always was the day after a Bulldogs' game: at the Coliseum saying "good bye" to the players before their Sunday meetings, and before he was to return to base. As Blue walked away towards his car—the familiar white Pinto station wagon with wood paneling—Coach Dooley walked up to a group of waving players. Some will tell you that Coach Dooley wasn't even familiar with every member of his own team, but he was certainly familiar with Blue. "Who is that guy?" Dooley asked the group of players. "I see him everywhere!" "The guy was like dog sh-- after the snow melts—everywhere—the bus, the locker room, you name it," a former player said of Blue. "I think even Coach Dooley quietly accepted Blue’s presence. He was so much part of the team, I wouldn't be surprised if our trainers wrapped Blue’s ankle before games." It has been said Blue first became "part" of the team by carrying a star player's shoulder pads on the bus for him. For the next few years, those same shoulder pads would be brought onto the team bus by Blue, and there he'd sit with the team as the only individual on the entire bus not actually associated with the team. Notably, it was on one of the team buses following a big victory when some alumni approached from outside, calling through the open windows, ready to hand out some "$50 handshakes." Blue thought, what the heck?, and stuck his arm out a bus window. Just like the standout players were handed, he too received $50 for a job well done. Blue was one of those people who quickly made friends with seemingly everyone—players, cheerleaders, and even coaches. He was innovative, as well, creating the "Shag Rag"—the name "SHAG" and jersey No. "80" on a towel—for wide receiver Steve "Shag" Davis, marking what I believe to be the first personalized equipment accessory in UGA football history. At the 1976 Cotton Bowl, while the Georgia players, coaches, and their wives attended the pregame galas during the week—get this—Blue babysat the kids of an assistant coach. On the return flight home, Blue got to fly on the chartered plane carrying UGA President Fred Davison and the Georgia cheerleaders, assuredly saying "Go Dogs!" all the way home. And, who could forget the way Blue would say, "Go Dogs!" With his Mid-Atlantic accent, he would prolong "Dogs," mimicking a southern drawl, sounding more like "D-awwwww-gs." A year later, after the team landed in New Orleans for the 1977 Sugar Bowl, and boarded a bus headed for the Hyatt Regency, they heard a car horn blowing while en route to the hotel. Pulling up next to the bus was, you guessed it, the familiar white Pinto station wagon with wood paneling, bearing a sign cheering on the team. Blue had driven all the way from his Navy base to New Orleans, arriving at the exact same time the team bus had gotten onto the highway headed to the hotel. Appropriately, Blue would not only follow the bus to the Hyatt Regency, but he would sleep there, as well, staying with two players. Later on, those two players brought a couple of girls back to the room, after which Blue soon spotted the girlfriend of one of the player's in the lobby. It was Blue to the rescue, dashing from the lobby to the elevator and up many floors to warn his friend—his "teammate"—his girlfriend had unexpectedly arrived. Although he might have been in New Orleans for the Sugar Bowl, it was apparent not even Blue was going to be attending the Sugar Bowl—he had no ticket, and the game was a complete sellout. One of the rooming players gave Blue his key to the room so he could watch it on TV. Nevertheless, remember who we're talking about here—someone who, when faced with no ticket, it simply meant no problem. Prior to the start of the game, a couple players warming up on the field noticed a trainer's cart being not only pulled by a team trainer, but curiously there was also a "trainer" dressed in all-white trainer's garb and sporting a Georgia cap pushing the cart. Of course, it was Blue, who had somehow, some way found some trainer's clothing and snuck down onto the field, hiding his midsection from authorities behind the cart not to reveal the fact he had no sideline pass. 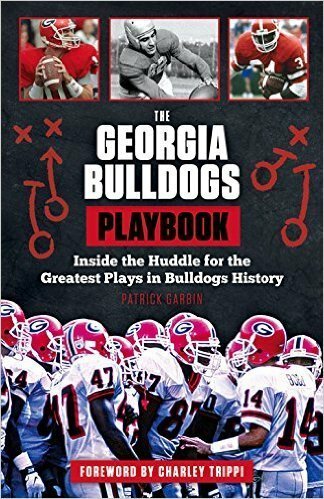 As soon as Blue reached the Georgia sideline, the players observed him walk up to and briefly chat with a Bulldog assistant—the same one he had babysat for a year before. The assistant coach soon handed his sideline pass over to Blue. Most of Blue's closest teammates graduated after the 1976 season, so sightings of the guy who always seemed to be around began to decrease. There was the case of a graduated player who wanted to return to Athens for the 1977 Kentucky game to witness Prince Charles' visit. He first called the athletic office for a ticket; they were no help. His second call was to the guy who seemed to always find a ticket, ole Blue, and of course Blue delivered with a ticket to the game. It was soon after this game and his enlistment in the Navy ended, it is believed Blue stopped venturing to Athens. 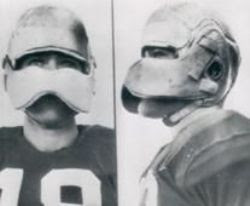 During the 1979 NFL season, he was spotted again in a locker room, but this time it was following a game at the Baltimore Colts, where former-Bulldog Bucky Dilts (1974-1976) was the Colts' punter and seemingly Blue's "ticket" to associate with a new team. 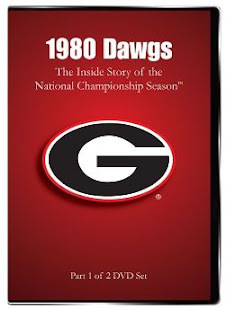 Thirty-five years later, this leads to tomorrow and another Letterman's BBQ prior to Georgia's noon game with Troy. And, rumor has it the ever-mysterious, yet faithful and lovable Blue might be returning to Athens to unite with his former Georgia Bulldog "teammates" for the first time since the late 1970s. Because of work responsibilities, I unfortunately will not be able to attend the BBQ; therefore, I thought I'd use this space to salute the greatest "team follower" in the history of UGA football. Let me add, even if you don't have that friend, like Blue, who somehow always finds a way to get it done, you actually were already connected with Blue to a small degree even before you read this piece. As indicated, Blue was rather innovative... 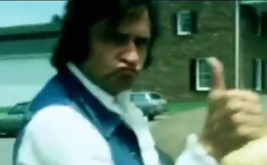 Remember the sign I mentioned on the outside of his familiar white Pinto station wagon with wood paneling—the one cheering on the team prior to the 1977 Sugar Bowl? Like Blue's pronunciation of the team's shortened nickname, the sign read, "GO DAWGS!" 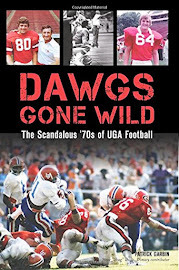 According to players on the bus, it was the first time they had ever seen "Dogs" spelled in that manner, and the first time I'm aware of that the nickname "Dawgs" was visibly associated with Georgia football. Finally, here's to you, Blue—a true Bulldog through and through! 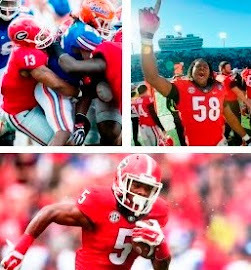 Through your association with UGA football long ago, when you repeatedly got it done, we Georgia fans have been able to say, "Go Dawgs!" for decades instead of using just plain "Dogs." I knew this guy. A real ladies man always chasing those pretty little Southern Bells. I thought he got his name because he had A HUGE SET OF BLUE BALLS. Sounds like the original fanboy with some serious hidden homosexual tendencies.